Drivers may enter the championship once their championship application has been accepted and their F3 or F3 Team membership is up to date. The minimum number of drivers entered into a race belonging to the same team is limited to one and the maximum number of drivers in a race belonging to the same team is limited to two. A team may include reserve driver/s to replace absent driver/s. In the event of a team not being able to supply its own team customised livery, the team is required to use one of the SA simF3 Series default skins. 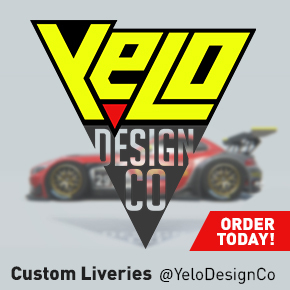 Once a team has completed the registration process, the Team Principal will receive a template which includes the official championship logos placed in their specified locations around the specific car. The official logos are to be left unchanged and unmoved, unless permission has been granted to do so. A team may consist of an unlimited amount of people, other than the limited number of drivers being two. These extra team members may include race engineers or set-up specialists. A Team Principal is however mandatory. A Team Principal must be appointed to assume full responsibility for the team. The 2016 SA simF3 Series will consist of just one race format; Sprint. The Sprint Race Format will consist of two 15 minute qualifying sessions and two 30 minute race sessions (lap limited, races may be fractionally shorter or longer). The policy of waiting for another car to re-join in front of you after causing initial contact is in place for this championship. The offending car is to wait off the racing line until the other car has re-joined safely before continuing. Upon review of the race replay or as a result of a team’s request, should an incident have been missed by the Race Steward, a drive through penalty for the following race or round can be enforced for the offending driver or a time penalty for the offending drivers can be be added on to the race in question. In the event of a driver found deserving of a drive through penalty during the last Round of the championship. The said driver will instead receive a 10 point championship points penalty. driving in future. Once the offending driver is given a third warning, the offending driver will automatically receive a drive through penalty for the following Race 1 of the following Round. 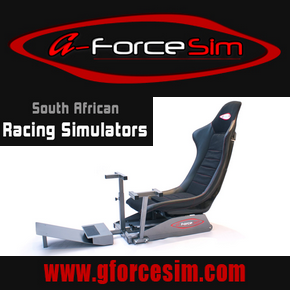 Whilst every care is taken to execute successful online racing events, no liability will attach to SIM RACE SOUTH AFRICA for any unforeseen circumstances leading to a failure to execute a successful online racing event. As this championship will be broadcasted on Youtube all efforts must be focused on providing a race which is as close to the real thing as possible. If a driver continues to show signs of iratic or unnatural driving behaviour; the race steward has every right to remove the driver from the relevant race or the entire championship. ***This document was last updated on: 01.12.2015 and may be updated or changed at any time.